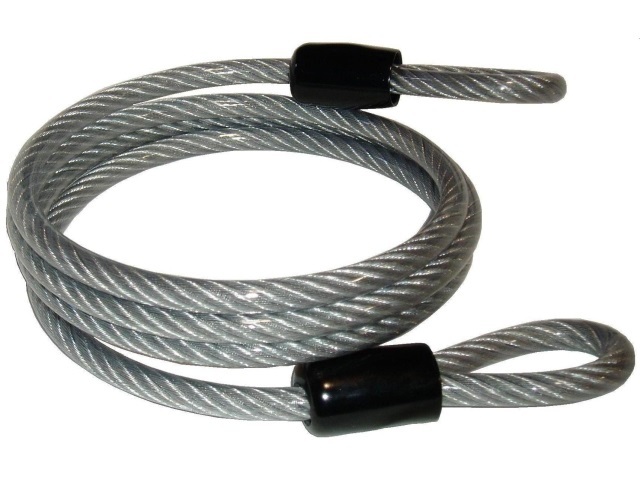 Coiled Security Cable – Lexco Cable Mfg. Wire rope and cable can come in a huge variety of forms, but coiled cables specifically provide the benefits of easy storage and tidiness. Unlike other wire ropes, coiled cables do not require a spool for storage. Because it has been coiled, the cable will automatically retract into its spring-like shape when it is not in use, making it incredibly easy to handle. Like other wire ropes, cables are made up of strands, and each strand is made up of smaller metal wires. Each cable can be customized to fit the needs of a given application by using a different number of wires, a different number of strands, and different materials. Strands are usually made from wire bundles with seven, thirteen, and nineteen wires because a circular configuration can be achieved easily with these bundle sizes. For example, a strand of seven wires is made from a single central wire surrounded by six wires. In the same way, cables are also commonly made with seven, thirteen, and nineteen strands. Other configurations are possible, and many cables will use other materials within the cable, such as a fiber core instead of a central wire strand. The number of wires and strands has a significant impact on the strength and durability of the cable. Typically, a larger number of wires will help increase the cable’s resistance to fatigue, allowing the cable to hold heavier loads for prolonged periods of time. A larger number of wires also improves the flexibility of the cable. Small Coiled Cable Assemblies – Lexco Cable Mfg. Additionally, larger wire diameter increases the cable’s resistance to abrasion and crushing, making it more durable and less likely to break due to wear. However, thicker wires will also reduce the flexibility of the cable. Therefore, it is incredibly important to consider which aspects of the cable are most important for your application. In order for a cable to be coiled, it must be fairly flexible, so most coiled cables are constructed from thinner wires. This means that coiled cables are often more susceptible to wear and tear from heavy use or exposure to larger forces. For this reason, coiled cables are more frequently utilized in commercial and personal applications as opposed to heavy duty industrial applications. Security applications are possibly the most common uses for coiled cables. 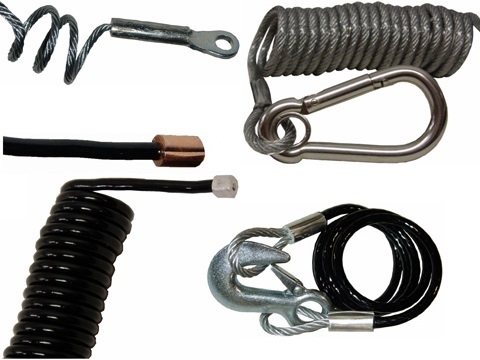 Wire ropes can be equipped with a variety of end fittings, including locking mechanisms. Bicycle locks are a common example of coiled cable use. The cable can be wrapped around the bicycle and a large permanent structure, such as a bike rack, with the ends of the cable locked together. They also coil up into a relatively small size, which makes them easy to transport as you move from place to place. Coiled Cable Also called a coiled wire rope, a coiled cable is a rope made from bundles of small metal wires, which are then twisted into a coil.